To make an inquiry regarding data access, please complete the form below. Complete and submit the form below and a member of the DIGAD team will contact you regarding your inquiry. All data requests are reviewed by the Access Panel, and the success of the application depends on the intended use of the data. Data will be supplied to applicants if it is determined to be for the benefit of the dairy industry. 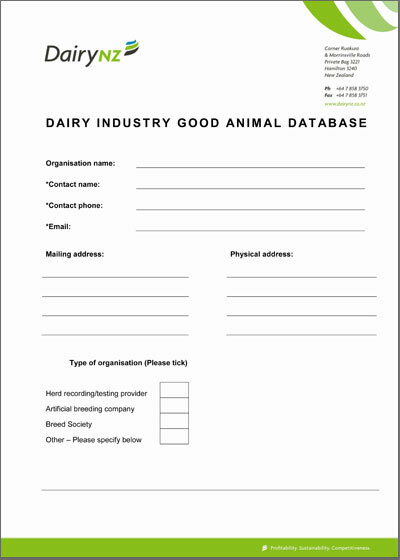 DairyNZ as the custodian of the core database is governed by the Dairy Industry (Herd Testing and New Zealand Dairy Core Database) Regulations 2001. The fact that an application has been made. The fact that any data in the core database has been made available as a result of an application. If you need animal or herd data to complete your project – get in touch. We can help you to decide what type of data you need, and how you should go about applying for access. If you prefer to send your inquiry by fax or post, please download and complete this form.